Who is behind Pashtun Tahafuz Movement? Since the occupation of Afghanistan by the US-led NATO forces, the country has become center of the intelligence agencies such as American CIA, Indian RAW and Israeli Mossad which are in collusion with Afghan National Directorate of Security (NDS) to obtain the covert designs of the their countries and some Western countries against Russia, China and Pakistan, including Iran. Being the lonely nuclear country in the Islamic World, and after signing China-Pakistan Economic Corridor (CPEC), Pakistan has become special target of these foreign agencies which have not only restarted terror attacks in Pakistan, especially in Baluchistan through ISIS and TTP etc., but have also kept alive anti-Pakistan propaganda campaign, including protests-demonstrations so as to create a rift among the ethnic groups of Pakistan in order to achieve their collective clandestine aims against the country. These external elements which have backed the Baloch protests and Muhajir protests to malign Pakistan Army and its primary intelligence agency ISI are also behind the Pashtun Tahafuz Movement (PTM). CIA, RAW and NDS are secretly assisting the Afghan National Unity Government (NUG) to manipulate the Pashtun Tahafuz Movement (PTM). In this regard, in April 8, 2018, the protesters of the social movement of PTM, led by the young activist Manzoor Pashteen gathered in Pakistan’s capital city of Khyber Pakhtunkhwa (KPK), Peshawar for a mass demonstration to demand the protection of the rights of Pashtuns. Similar protest-demonstrations in solidarity with the PTM were held on the same day in Australia, Sweden, Germany, London, Washington and Afghanistan and along the Pak-Afghan border, which proved the foreign connections of the PTM movement. The PTM first staged a 10-day sit-in protest in Islamabad in February, this year in response to the killing of 27-year old Naqeebullah Mehsud—what the Pakistani police pointed out as a raid on a terrorist hideout in eastern Karachi. The PTM halted its first Islamabad sit-in protest after the government provided written assurances that it would address the PTM complaints. However, speaking in the tone of external propagandists against Pakistan, the Pashtun Tahafuz Movement is demanding an end to human rights violations by authorities in the country’s tribal regions, removal of military checkpoints in the tribal areas and to form a judicial commission to investigate alleged extra-judicial killings and enforced disappearances of the Pashtuns in Pashtun-dominated regions of Pakistan. On the other side, Pakistan’s government rejected false allegations that security forces or its intelligence agencies are responsible for enforced disappearances. Authorities said that military checkpoints are necessary for the tribal areas so as to combat extremist militants, including Pakistani and Afghan Taliban fighters. As regards the case of missing persons of the Pashtuns, they were killed in various terror attacks, arranged by the militant outfits like ISIS, TTP and their linked groups, while many Pashtuns, without informing their families, also went to Afghanistan to wage Jihad against the occupying forces of NATO. They are, in fact, disappeared persons. In reaction to the protest-demonstrations of the PTM, on April 2, this year, People in the Khyber Pakhtunkhwa (KPK) and Federally Administered Tribal Areas (FATA) took out rallies against PTM. The rallies were organised by a newly formed Pakistan Zindabad Movement, across the FATA and KPK. Anti-PTM rallies were held in Mohmand, Khyber, Kurram agencies, including the KPK towns of Kohat, Shabqadar and Charsadda. Nonetheless, protests of the PTM cannot be seen in isolation, as these are part of some other developments against Pakistan. In this respect, in the recent past, the US-led entities have launched a controversial and heated debate in Afghanistan whether the term ‘Afghan’ designate, a ‘nationality or ethnic’ group. This controversy delayed the issue of national identity card for people of Afghanistan for years. Influential ethnic groups of Afghanistan which are currently heading the government do not look at the word ‘Afghan’, a nationality for people of Afghanistan, but an ethnic group. In this connection, history provides ample evidence that the word Afghan has been interchangeably used for Pashtuns. The people who initially inhibited in the south-east of the Amu Darya in Afghanistan, to the west of the Indus River in Pakistan are Pushtuns. The Pashtuns or Afghans primarily speak Pashto language and follow Pashtunwali code of conduct. They are primarily found in Afghanistan and Pakistan and form the world’s largest tribal society, today. 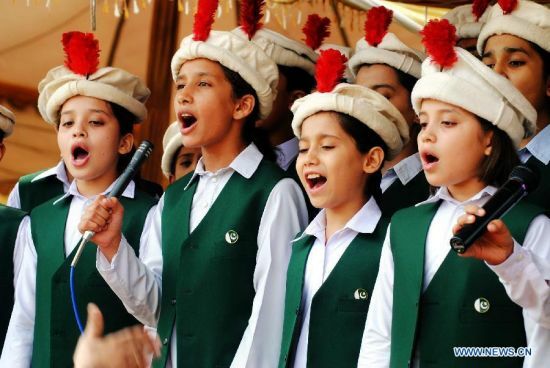 Throughout the Indian subcontinent, they are often referred to as Pathans. Today, the Pashtun tribes with over 65 million people live in Pakistan, while approximately 28 Million people in Afghanistan and another 1.5 million or more live in Iran. There are 1.8 million registered and unregistered Afghan refugees who are living in Pakistan, a majority of which are Pashtuns. As regards Pakistani Pashtun, over 26 million live in Khyber Pakhtunkhwa (KPK), 9 million in FATA, and around 7 million in Karachi alone, 9 million in Punjab, 3 million in Sindh and 6.5 million in Baluchistan. The figure does not include the Niazi tribe of Mianwali who are also Pathans, but fewer speak the Pashto language. Undoubtedly, Pashtuns are very well knitted in Pakistani society and enjoy power positions in government, civil and military bureaucracy. They also enjoy vast connectivity due to inter-marriages with other ethnic groups. So, it is not difficult to grasp when Pashtun tribes suffer tyranny and ill-treatment in Afghanistan; a large number of Pashtuns and their friends are saddened all over Pakistan. It regrettable that Pashtuns in FATA are suffering due to drone attacks and Frontier Crimes Regulation (FCR) which is an outdated and cruel system of collective punishment. Hence, for the first time, they have desired to move away from the concept of “illaqa-e-ghair” (Strange Land) and to completely integrate into Pakistani state, including its legal system. It is notable that the anti-Pakistan forces which always exploit the relations between Afghanistan and Pakistan on the pretext of Pashtuns are extremely worried over the new development in the FATA and KPK. It is the misfortune of the country that the current government of Pakistan is also showing apathetic and sluggish approach to the new development and is not meeting the demands of Pashtuns. It is mentionable that in Afghanistan, primarily Pashtuns are resisting American occupation and are, therefore, facing the wrath of the US-led NATO. Therefore, in frustration, America and India which are in connivance with the NUG are behind this new move to differentiate between a Pashtun or an Afghan in order to malign Islamabad. Besides, as part of the propaganda campaign, these hostile forces are using few politicians and political activists and social workers to slow down integration of FATA into mainstream Pakistan. In this respect, the PTM, a noble student initiative which was, in fact, launched in 2013 for the purpose of clearing landmines in Waziristan has been de-tracked. The movement rightfully protested the extra-judicial killing of Naqeebullah Mehsud by the police force in Karachi. Apart from the Afghan top political leadership, few crooks of Awami National Party (ANP) and ultra-liberals are also misleading Pashtuns. As part of the propaganda, anti-Pakistan speeches of PTM workers are also attracting wide publicity by Radio Free Europe/Radio Liberty (RFE/RL), a United States funded organization. Another website Gandhara, and Mashaal Radio is found cultivating suspicion between Pakistan military and Pashtuns. The real aim behind these sinister designs is to create a rift between Pashtuns and Pakistan Army. In this regard, Saira Bano Orakzai, a proud Pashtun at Research Fellow at Harvard University in her recent article says that the time is ripe for the people of the tribal areas to make a clear choice; to struggle to restore rights and peace or to struggle against this country’s institutions and ideology, only to get entangled in a perpetual conflict. As a matter of fact, PTM instead of articulating and moving towards a solution for the problems of FATA has stretched its ideology to an unknown “La La land”, and thus, it is derailing an already fragile reforms process for FATA’s future. These internal and external hostile elements do not want developments in FATA, which can result in the progress of their people in various fields. These elements want to continue the past system of the colonial era at the cost of Pakistan. It is a good sign that in the budget 2018-2019, the government has proposed Rs.24.5 billion for FATA. To bring FATA in the mainstream, a ten-year FATA development plan with a total outlay of Rs.100 billion has been approved. During 2018-19 Rs.10 billion are proposed to be provided. It is the right hour that without further loss of time, the government of Pakistan should immediately merge FATA with KPK and implement FATA reforms. The alleged killing of Naqeebullah Mehsud by Rao Anwar be immediately resolved because inquisitive forces are manipulating the situation. Pakistan Electronic Media Regulatory Authority (PEMRA) must monitor and check the hostile propaganda against the unity and interests of Pashtun people on national and international media. The media anchors, analysts and writers, including leaders of all the political parties must counter the anti-Pakistan activities of the external entities which are backing the PTM. They should also give a matching response to some internal elements which are supporting the illegitimate demands of the PTM such as removal of check-posts etc. And more rallies and demonstrations must be arranged by the patriot-citizens of Pakistan in response to the PTM anti-Pakistan activities. Thus, external conspiracy against the integrity of the country can be thwarted. Everyone knows Bolton is a hawk. Less understood is how he labored in secret to drive Washington and Tehran apart. In my reporting on U.S.-Israeli policy, I have tracked numerous episodes in which the United States and/or Israel made moves that seemed to indicate preparations for war against Iran. Each time—in 2007, in 2008, and again in 2011—those moves, presented in corporate media as presaging attacks on Tehran, were actually bluffs aimed at putting pressure on the Iranian government. But the strong likelihood that Donald Trump will now choose John Bolton as his next national security advisor creates a prospect of war with Iran that is very real. Bolton is no ordinary neoconservative hawk. He has been obsessed for many years with going to war against the Islamic Republic, calling repeatedly for bombing Iran in his regular appearances on Fox News, without the slightest indication that he understands the consequences of such a policy. His is not merely a rhetorical stance: Bolton actively conspired during his tenure as the Bush administration’s policymaker on Iran from 2002 through 2004 to establish the political conditions necessary for the administration to carry out military action. More than anyone else inside or outside the Trump administration, Bolton has already influenced Trump to tear up the Iran nuclear deal. Bolton parlayed his connection with the primary financier behind both Benjamin Netanyahu and Donald Trump himself—the militantly Zionist casino magnate Sheldon Adelson—to get Trump’s ear last October, just as the president was preparing to announce his policy on the Iran nuclear agreement, the Joint Comprehensive Plan of Action (JCPOA). He spoke with Trump by phone from Las Vegas after meeting with Adelson. It was Bolton who persuaded Trump to commit to specific language pledging to pull out of the JCPOA if Congress and America’s European allies did not go along with demands for major changes that were clearly calculated to ensure the deal would fall apart. Although Bolton was passed over for the job of secretary of state, he now appears to have had the inside track for national security advisor. Trump met with Bolton on March 6 and told him, “We need you here, John,” according to a Bolton associate. Bolton said he would only take the secretary of state or national security advisor, whereupon Trump promised, “I’ll call you real soon.” Trump then replaced Secretary of State Rex Tillerson with former CIA director Mike Pompeo, after which White House sources leaked to the media Trump’s intention to replace H.R. McMaster within a matter of weeks. The only other possible candidate for the position mentioned in media accounts is Keith Kellogg, a retired lieutenant general who was acting national security advisor after General Michael Flynn was ousted in February 2017. Bolton’s high-profile advocacy of war with Iran is well known. What is not at all well known is that, when he was undersecretary of state for arms control and international security, he executed a complex and devious strategy aimed at creating the justification for a U.S. attack on Iran. Bolton sought to convict the Islamic Republic in the court of international public opinion of having a covert nuclear weapons program using a combination of diplomatic pressure, crude propaganda, and fabricated evidence. Thus, at the very moment that Powell was saying administration policy was not to attack Iran, Bolton was working with the Israelis to lay the groundwork for just such a war. During a February 2003 visit, Bolton assured Israeli officials in private meetings that he had no doubt the United States would attack Iraq, and that after taking down Saddam, it would deal with Iran, too, as well as Syria. During multiple trips to Israel, Bolton had unannounced meetings, including with the head of Mossad, Meir Dagan, without the usual reporting cable to the secretary of state and other relevant offices. Judging from that report on an early Bolton visit, those meetings clearly dealt with a joint strategy on how to bring about political conditions for an eventual U.S. strike against Iran. Mossad played a very aggressive role in influencing world opinion on the Iranian nuclear program. In the summer of 2003, according to journalists Douglas Frantz and Catherine Collins in their book The Nuclear Jihadist, Meir Dagan created a new Mossad office tasked with briefing the world’s press on alleged Iranian efforts to achieve a nuclear weapons capability. The new unit’s responsibilities included circulating documents from inside Iran as well from outside, according to Frantz and Collins. Bolton’s role in a joint U.S.-Israeli strategy, as he outlines in his own 2007 memoir, was to ensure that the Iran nuclear issue would be moved out of the International Atomic Energy Agency and into the United Nations Security Council. He was determined to prevent IAEA director general Mohamed ElBaradei from reaching an agreement with Iran that would make it more difficult for the Bush administration to demonize Tehran as posing a nuclear weapons threat. Bolton began accusing Iran of having a covert nuclear weapons program in mid-2003 but encountered resistance not only from ElBaradei and non-aligned states, but from Britain, France, and Germany as well. Bolton’s strategy was based on the claim that Iran was hiding its military nuclear program from the IAEA, and in early 2004, he came up with a dramatic propaganda ploy: he sent a set of satellite images to the IAEA showing sites at the Iranian military reservation at Parchin that he claimed were being used for tests to simulate nuclear weapons. Bolton demanded that the IAEA request access to inspect those sites and leaked his demand to the Associated Press in September 2004. In fact, the satellite images showed nothing more than bunkers and buildings for conventional explosives testing. Bolton was apparently hoping the Iranian military would not agree to any IAEA inspections based on such bogus claims, thus playing into his propaganda theme of Iran’s “intransigence” in refusing to answer questions about its nuclear program. But in 2005 Iran allowed the inspectors into those sites and even let them choose several more sites to inspect. The inspectors found no evidence of any nuclear-related activities. The U.S.-Israeli strategy would later hit the jackpot, however, when a large cache of documents supposedly from a covert source within Iran’s nuclear weapons program surfaced in autumn 2004. The documents, allegedly found on the laptop computer of one of the participants, included technical drawings of a series of efforts to redesign Iran’s Shahab-3 missile to carry what appeared to be a nuclear weapon. But the whole story of the so-called “laptop documents” was a fabrication. In 2013, a former senior German official revealed the true story to this writer: the documents had been given to German intelligence by the Mujahedin E Khalq, the anti-Iran armed group that was well known to have been used by Mossad to “launder” information the Israelis did not want to be attributed to themselves. Furthermore, the drawings showing the redesign that was cited as proof of a nuclear weapons program were clearly done by someone who didn’t know that Iran had already abandoned the Shahab-3’s nose cone for an entirely different design. Cheney and Bolton based their war strategy on the premise that the U.S. military would be able to consolidate control over Iraq quickly. Instead, the U.S. occupation bogged down and never fully recovered. Cheney proposed taking advantage of a high-casualty event in Iraq that could be blamed on Iran to attack an IRGC base in Iran in the summer of 2007. But the risk that pro-Iranian Shiite militias in Iraq would retaliate against U.S. troops was a key argument against the proposal. The Pentagon and the Joint Chiefs of Staff were also well aware that Iran had the capability to retaliate directly against U.S. forces in the region, including against warships in the Strait of Hormuz. They had no patience for Cheney’s wild ideas about more war. That Pentagon caution remains unchanged. But two minds in the White House unhinged from reality could challenge that wariness—and push the United States closer towards a dangerous war with Iran. Gareth Porter is an investigative reporter and regular contributor to TAC. He is also the author of Manufactured Crisis: The Untold Story of the Iran Nuclear Scare. Follow him on Twitter @GarethPorter. Trade Centre. The vehicle then hit a school bus, injuring two adults and two children on board. President Donald Trump about the terror assault have further verified this collaboration. attack by a very sick and deranged person. Law enforcement is following this closely. Vetting Procedures. The safety of our citizens comes first!” He did not elaborate further. are leading the world to nuclear war or clash of civilizations. word, particularly, Israel is fulfilling her evil designs. 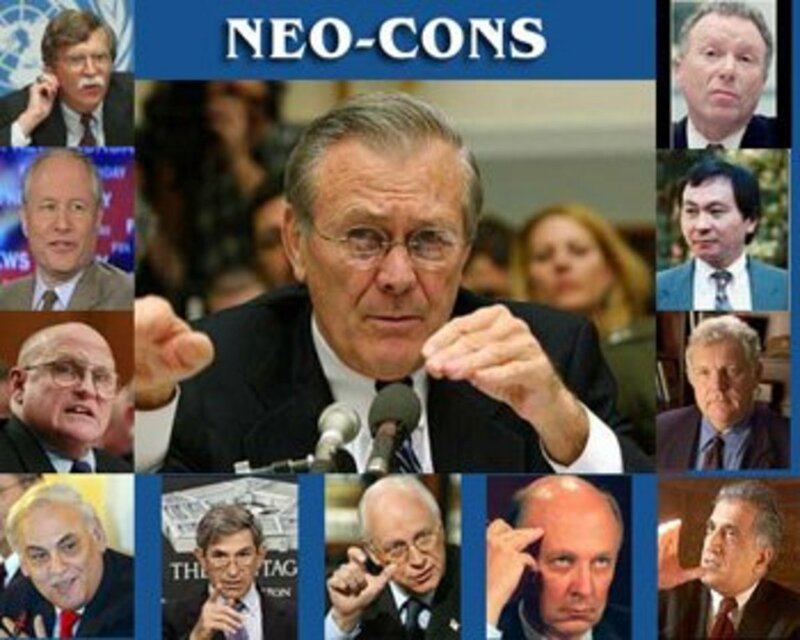 Zionists, Israeli lobbies and the neoconservatives in the pretext of the fake global war on terror. government to obtain the aims of a greater Israel are part of the double game. partners have been waging a war against the ISIS. with the covert aims of their countries. which is held by the terrorists…All of the images were taken from September 8 to 12. SDF of collusion with ISIS terrorists.SDF militants work to the same objectives as IS terrorists. US-led countries against Pakistan, Syria, Iraq China, Russia, Iran, Turkey, Somalia, Yemen etc. which have continued in one way or the other. report of the same day). militants arranged various sorts of terror attacks in Europe and the US. operation, but also endorsed other false flag terror-attacks in the US and Europe. which used homegrown terrorists of France. links to international or domestic terror groups or ISIS. terrorism would be assumed even without evidence. their anti-Muslim approach to obtain Indo-Israeli- US clandestine designs. Kashmir which remains a nuclear flashpoint between both the neighbouring countries. atrocities, while employing delaying tactics in the solution of these issues. and phony war on terror. Besides these developments, some other ones have also frustrated Indians and especially Israelis. Zionist Jews have started favouring the two-state solution of the Israeli-Palestinian dispute. hit American cities and Europe. about nuclear war between the two countries. NATO protests” in Europe are quite opposite to the Israeli secret interests. directly or indirectly from Kashmir to Palestine and from Afghanistan to Somalia. war on terror which is dividing the world on religious lines. falsehood and even murder to fulfill their selfish aims. instrument of ambitious nationalism and state’s leaders, it has now become the tool of ideologies. massacred thousands of persons which also include Christians. also erupt between Pakistan and India, as New Delhi also avoids solution of the Kashmir issue. into ‘clash of civilizations’, particularly between the Muslim and the Christians worlds. division of the international community on religious and cultural lines. Seven people were killed and 48 persons injured in the terror attack on London Bridge and at the adjacent Borough Market on Saturday (June3, 2017). According to the British police and media, a van driving at high speed mowed down pedestrians on London Bridge before the occupants got out and began stabbing patrons at nearby bars and restaurants at the adjacent Borough Market. Armed officers responded very quickly, confronting three male terrorists who were killed in Borough Market. The terror attacks came days before a general election and two weeks after 22 people were killed when a suicide bomber targeted an Ariana Grande Concert in Manchester. It was the third terrorist attack to strike the Great Britain, this year, after a man drove a car into pedestrian on Westminister Bridge in March. The Telegraph said on June 5, 2017 that the Islamic State of Iraq and the Levant claimed responsibility for the London attacks on June 7. However, it is quite opposite to the report of CNN. Earlier, British Prime Minister Theresa May warned that Britain is in the grip of a spate of copycat terror attacks in the wake of the London Bridge atrocity. She elaborated that for the second time, this election campaign, Mrs May who had just chaired a meeting of the Government’s Cobra emergency committee, said that while the Manchester Ariana attack which killed 22 people, the Westminster attack in March which left four people dead and the London Bridge attack are not directly connected, there is now a “new trend” in the threat the UK faces. She further remarked, “Terrorism breeds terrorism and perpetrators are inspired to attack, not only on the basis of carefully constructed plots after years of planning and training, and not even as lone attackers radicalised online, but by copying one another and often using the crudest of means of attack…We cannot and must not pretend that things can continue as they are. Things need to change…the recent attacks were all connected by “the single evil ideology of Islamist extremism that preaches hatred, sows division and promotes sectarianism”.Analysts and sources pointed out that her reference to the public sector meant that schools and other public bodies had to adopt a much stricter approach to extremism, while councils had to make sure they did not create ghettos by housing Muslims in areas where they became concentrated together. Mrs May also added that the internet provided a “safe space” for extremists to spread their creed and plan attacks, and said it was time to “regulate cyberspace” through the sort of agreements she reached at the G7 summit in Italy last week, when leaders agreed to pile pressure on social media companies to block extremist material. After the London attack, again, major parties of the Britain, temporarily, suspended the national election campaigning for the general elections which would be held on June 8, this year. Again, it is notable that at least 22 people were killed in a terror attack at Ariana Grande concert in Manchester on May 22, 2017. British police said that the attack was carried out by a single suicide bomber, who also died. Afterwards, the man who targeted the Ariana Grande gig has been named as 22-year-old Salman Abedi who was a British national and the child of Libyan refugees. However, following the Manchester carnage, Prime Minister May, the leader of the Conservative Party and Jeremy Corbyn, the leader of the Labour Party, including Liberal Democrat leader Tim Farron had suspended the campaigning for the general election. On the social media, the ISIS, claimed responsibility for the terror assault at Ariana Grande concert. Other ISIS supporters said online that the attack was revenge for the UK’s involvement in the bombing campaign against ISIL in Iraq and Syria. After the shooting, the three main candidates canceled campaign events and instead made televised statements in which they competed to talk tough on security and vowed a crackdown on ISIS. The incident brought issues of terrorism, the French Muslims, security and immigration back to the forefront of the campaign. Marine Le Pen demanded the closure of all Islamist mosques, repeating her call for Europe’s partly open borders to be closed. The centrist Emmanuel Macron was elected French president by defeating the ultra-nationalist and far-right candidate Marine Le Pen in the second round of the French presidential election. In fact, terror attack at Champs-Elysees-Paris’s boulevard was arranged by the Israeli secret agency Mossad with the assistance of the ISIS to ensure the victory of Macron in the French presidential elections. The pro-Israeli, the then French president-elect Emmanuel Macron who was having connections with Tel Aviv in the past will maintain the US-led status quo in the world and will further advance the Israeli agenda against Russia, China, Syria, Pakistan etc, and the Muslims, while further advancing the international forces of globalization, controlled by the wealthy Jews and the elite class at the cost of small countries and the poor class. Recall that three days before the general elections in Spain, the train bombings in Madrid on March 11, 2004, which killed more than 200 people turned the election results in favour of Jose Luis Rodriguez Zapatero whose Socialist Party won the elections, as he had said that Spain where the “US war has been deeply unpopular”, would withdraw its troops from Iraq. While, government led by the Prime Minister Jose Maria who staunchly supported the American-led war in Iraq lost the election. The victory of the Socialist Party in Spain was being called by some in Europe and America as a victory of terrorism, a precedent that offers Al-Qaeda or groups like it the notion that they can alter the democratic process with bombs and murder. A former member of the Spanish Parliament, Pedro Schwartz remarked, “Al-Qaeda won the election”. However, the terror attack in London and suicide attack at the Ariana Grande gig cannot be seen in isolation. Therefore, we need to analyze various related-developments of the recent past and the present ones in the world and inside the UK to reach the conclusion. In this respect, the agents of Mossad who are in collaboration with the CIA sympathizers, Syrian rebel groups and the ISIL militants arranged terror attacks in Paris, Brussels, Orlando, San Bernardino, Nice, Munich, London (March 22, 2017), St. Petersburg (Metro train) in Stockholm, in Manchester and again in London. While, a gunman who went by the nickname Black Jesus was identied—39-year-old Kori Ali Muhammad, making militant comments on social media killed three white men in downtown Fresno, California, on April 18, 2017 and fired at another before he was taken into custody, while shouting “Allahu Akhbar,” as the Fresno police stated. It is worth-mentioning that since September 2015, Russian-led coalition of Iran, Iraq, the Syrian army-the National Defense Forces (NDF) and Lebanon-based Hezbollah in support of Syrian President Bashar al-Assad has been achieving successes in Syria and Iraq by retaking several regions from the occupation of the CIA-Mossad led rebel groups and ISIS militants after their failure to topple the Assad government—proving links of Al-Qaeda’s Al-Nusra Front and ISIS with America and Israel, Mossad with the cooperation of some CIA agents started terrorism-related attacks in the US and Europe. Meanwhile, the CIA-Plan B for partition of Syria also failed. Moscow also exposed smuggling of oil supply by the ISIL-controlled areas to Europe and silence of their governments in this connection. In this regard, Russian Presidents Vladimir Putin’s successful diplomacy surprised the Israel-led America and some European countries who still want to oust the Assad regime to obtain the greater interests of Israel. In response, taking note of various developments and some other ones such as reluctance of NATO countries to support America’s fake global war on terror, acceptance of Syrian refuges by the European countries, especially Germany, criticism of the controversial Turkish-EU refugee deal by a number of human rights groups, the EU rule to boycott goods produced in Israeli settlements on the West Bank, Britain’s decision to leave the European Union (EU), after the referendum (Brexit) on June 24, 2016, prospects of Scotland and some other countries for separation from the EU, and the divide between the elite class which run multinational companies with the direct or indirect control of the Jews and the general masses who are suffering from multiple problems in wake of differences on the refugee crisis, Syrian war, Greece’s weak economy, violent protests against the labour laws in France etc.—the chances of European Union’s disintegration and a rift among the NATO countries, as noted in the recent past by the “Stop NATO protests in Europe were quite opposite to the Israeli secret interests. Hence, Israeli Mossad which was in collaboration with the vulnerable CIA operatives organized terror assaults in the US and Europe. As part of the double game, these terror attacks were conducted by these secret agencies, particularly Mossad with the assistance of the ISIS terrorists who used the home-grown terrorists of these countries. Here, it is noteworthy that Machiavelli advises the rulers to have a lion-like image outwardly, and act upon the traits of goat inwardly. He also suggests them foreign adventures and the use of terror to obtain their goals. In his sense, a good ruler should be a good opportunist and hypocrite. While echoing Machiavelli, Morgenthau points out that sometimes, rulers act upon immoral activities like deceit, fraud, falsehood and even murder to fulfill their selfish aims. On May 21, 2017, Saudi King Salman bin Abdulaziz and Trump signed a defence deal of nearly $110 billion agreement to bolster the military capabilities of Saudi Arabia. The defense deal, effective immediately, was one of the series agreements the two countries signed to enhance their military and economic partnerships, including a second defense pact with options valued up to $350 billion over the next 10 years. In fact, by keeping the Iranian phobia, the major purpose of Trump’s visit was to sell America arms to Saudi Arabia. President Trump also encouraged NATO-like alliance of Saudi Arabia, which includes the Sunni countries against Shia states, especially Iran and Yemen. It was formed on the instructions of Washington. As after the US-led invasion of the Afghanistan, Iraq, airstrikes on Libya and promotion of war in Syria have been clearly exposed, therefore, America revived the old global war on terror to secure the illegitimate interests of Tel Aviv, whose major aim was to deceive the Muslims. President Donald Trump pledged on May 23, 2017 at the Israel Museum in Jerusalem that he would work for an Israeli-Palestinian peace, while protecting the region from Iran and other threats. He stated, “Israelis have experienced firsthand the hatred and terror of radical violence…Hamas and Hezbollah launch rockets into Israeli communities…The United States is firmly committed to keep Iran from developing a nuclear weapon…America’s security partnership with Israel is stronger than ever.” Israeli Prime Minister Benjamin Netanyahu praised Trump and his wife, daughter and son-in-law for visiting the Western Wall before saying Israel must always be able to defend itself against any threat. Trump met earlier in the day with Palestinian Authority president Mahmoud Abbas in Bethlehem, and came back to Jerusalem insisting that a peace deal is possible. Despite the revival of the phony global war on terror, some developments disappointed the Israelis. In this regard, Russia-Turkey alliance to fight the ISIS, and US decision to dispatch more troops in Afghanistan where America and its NATO allies have entangled in the prolonged war of history, which has, rapidly, increased the cost of war, bringing about multiple internal crises, affecting the ordinary Americans and Western citizens, particularly those of Europe might be cited as example. Besides, differences between the Britain and the US about Manchester terror attack—probe of Trump that the US intelligence agencies already knew it, Trump’s criticism of Germany regarding trade, conduction of missile-test by North Korea, failure of Thump’s war-like diplomacy against the latter and waning of Russia and China to America in this regard also depressed the Israelis. In his speech to open the meeting, former President of France Francois Hollande said, “The international community had to be reminded of its obligations to build peace…the much-needed reconciliation between Israel and its neighbours can go forward”. It is of particular attention that by pursuing the double standards of America in its worst form, Trump also intends to favour India, while opposing the nuclear weapons of Pakistan.. However, like Obama, Trump has brushed aside the ground realities that Indian Prime Minister Modi led by the ruling fundamentalist party BJP has been implementing anti-Muslim and anti-Pakistan agenda, while encouraging Hindutva (Hindu nationalism). Although Mossad was behind terror attacks in Madrid and at Champs-Elysees, boulevard to affect the election results, as already mentioned, yet the case of the latest terror assaults in London and at Ariana Grande concert in Manchester are little bit different, though having similar purposes of Tel Aviv. It is mentionable that last year, success of first Muslim Pakistan’s origin Sadiq Khan as mayor of London by defeating the Conservative rival Zac Goldsmith-a wealthy Jew who was supported by the former British Prime Minister David Cameron also depressed the Israelis. In the May, 2015, the number of Muslim MPs in Britain has increased from eight to 13. Unlike the other European countries, Britain has strongly favoured American policies. By bypassing the UN Security Council, Anglo-American invasion of Iraq might be cited as instance. Therefore, either it is Conservative Party or Labour Party, which could win the coming election, does not matter, as both the parties are pro-American. Interestingly, both are trying to win the support of the Muslim voters. Through the terror attacks in London and Manchestor before the general election, the major aim of Mossad was to affect the election-campaign. While, like other European countries, especially France, Mossad wanted to accelerate persecution of Muslims, hate-crime against them and also to compel the Britain to make discriminatory laws against them. So, besides other terror attacks in the UK, the latest one is part of the same policy of Israel, implemented by Mossad. Nevertheless, like Trump, Israeli rulers have also been confused due to the above mentioned developments which do not favour Israel like the past, while, still some CIA agents, Indian RAW and particularly Mossad want to divide the world on religious lines. Like Tel Aviv, India also wants to keep its control on the Occupied Kashmir through state terrorism and to avoid its solution. Although overtly President Trump has softened his external policy regarding Muslims and Islamic countries, yet covertly, he is acting upon the conspiracy of Mossad and RAW, which is, intentionally or intentionally, being followed by America’s Western partners against the Muslims. If not checked in time by the peace-loving Muslims, Christians, Hindus, Jews and Buddhists, these policies of the President Donald Trump who is particularly completing the extremist agenda of Israel are likely to result into more recruitment in the militant outfits, especially in the ISIS group, inspiring the extremist Muslims for more terrorism-related attacks. Israel, who will never accept the two-state solution of the Israeli-Palestinian issue, will prefer to seek the final revenge by bringing about a major war between the Muslim and the Christian worlds or to cause a major war between Russia and the US-led some Western countries, which will convert the entire world into holocaust. Nonetheless, we may conclude that although agents of RAW and CIA are in collaboration which arranged terrorism-related assaults in the US and Europe and elsewhere in the world, yet Mossad is, especially, behind terror attacks in America and Europe. So, undoubtedly, Mossad led by ISIS again targeted the UK. Note: My article, “Breaking/Excusive: Manchester Attack, Main Incubator of Terrorism Discovered” updated in this article.